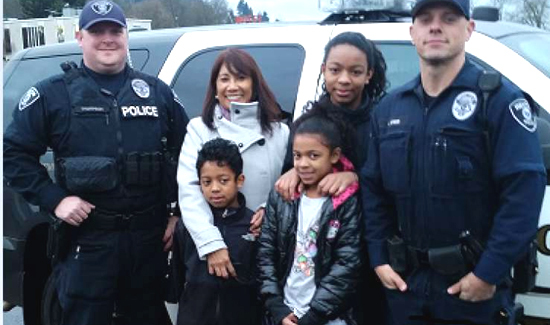 A local family’s grandma was almost stranded at the airport Christmas Eve, but a Renton police officer made sure she made it safely to her family. Officer Cassidy Steed encountered a traffic crash in front of the Safeway on South Third Street about 7:39 a.m. No one was hurt, but a mom and her children told reported they were on their way to pick up their grandma at the Sea-Tac airport for her Christmas visit, according to Renton police. Steed, knowing that the family would not reach Grandma in time, asked Officer Mike Thompson to pick her up at the airport, instead, according to a Renton Police Department Facebook post. Thompson retrieved Grandma at the airport and brought her to her family.